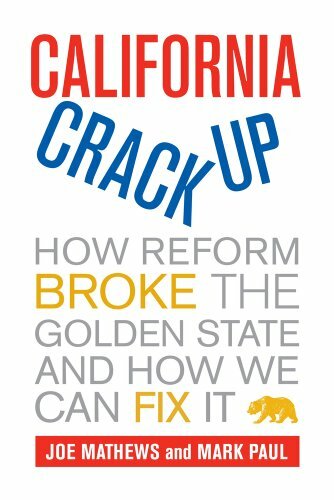 For people within radio listening distance of San Jose, I’ll be talking about California’s various crises on Friday night, May 4, 7:00 p.m., as Russell Hancock, President and CEO of Joint Venture Silicon Valley, interviews me on Inside Silicon Valley on KLIV 1590. The show repeats at noon on Sunday, May 6. The interview is now available as a podcast at Joint Venture Silicon Valley’s website. There’s been a lot of commentary on the Think Long “blueprint” for California, not much of it glowing. Peter Schrag and David Kersten have published extensive reviews. Joel Fox and Jeff Schauer have focussed, as I did, on its proposal for an unelected executive council. There’s one thing, though, that no one has mentioned. The indictment embedded in the group’s name and made explicit in its “blueprint”—that California has failed to “think long”—is a bad rap. For those who like their California fixes in person, I'll be in Modesto on December 8 to speak to the Valley Futures Forum, a group of real California long thinkers. The event will be 5:00 pm at Modesto Junior College East Campus, in Forum Building Room 101. I’ve been inclined to agree with Joe Mathews that University of California students who vent their wrath at the university and the Regents have picked the wrong targets. The retreat from funding public higher education has been sounded from the state Capitol. It is the combination of the state’s broken governing system and the political weakness and incompetence of the state’s higher education leaders that has made colleges and their students into the biggest losers in California’s budget squeeze. As Joe points out, tents on the quad and protests at Regents meetings speak to the wrong audience and the wrong problem. But that’s not the whole story. Watching UC chancellors respond to the Occupy protests, I’ve come to see that the students are not entirely wrong. Something’s rotten inside the university too. KQED is devoting a special edition of “This Week in Northern California” to what it calls “Broken California,” with a discussion among Susan Kennedy, former right-hand woman to both Governors Davis and Schwarzenegger; Dan Schnur, director of the Unruh Institute at USC; Don Perata, former president pro tem of the Senate; and yours truly. The show airs Friday, November 11 at 7:30 p.m.
With California fast approaching the hundredth anniversary of the 1911 election that brought us our system of direct democracy—the initiative, referendum, and recall—it seemed a good moment to review the history we tell in California Crackup of how California built and broke its political system. Below is a handy timeline version of the story. You can see a full-page view here. One of the consequences of having the least functional governing system in the world is that the bar for determining what constitutes success gets set very low. Even the most ordinary and trivial things in California get counted as a victory. Yes, the Legislature and governor have enacted a budget before the July 1 start of the fiscal year, a rare event in Sacramento over the last quarter of a century. It’s good to have a budget in place as the fiscal year begins. It lets the state borrow the operating cash it needs and avoids the messy business of delaying payments to vendors and local governments that happens when a budget isn’t enacted before the fiscal year begins. As you might expect in cases where it takes a majority to pass a spending plan but a two-thirds supermajority to pass the taxes to fund that spending, the budget is dubiously balanced. It depends on school funding provisions that probably do not meet the state’s Prop 98 constitutional minimum but won’t be challenged because the California Teachers Association (CTA), the group most likely to sue, was in on the deal. It assumes $4 billion in revenue that the state in all likelihood will not collect. This assumption is offset by provisions that will trigger additional mid-year cuts, largely to higher education and schools. But the budget also contains language that prevent school districts from taking steps to reduce staff to meet these anticipated trigger cuts. To the extent the state budget is balanced, it is at the cost of driving many school districts into insolvency through payment deferrals and restraints on their ability to reduce costs. Prop 25’s debut was marked by the Controller John Chiang’s unconstitutional announcement that it somehow gave him the power to withhold legislators pay even though they had met the measure’s requirement that they pass a budget by June 15. Chiang contended that he had the authority, nowhere present in the constitution, to check the Legislature’s arithmetic to determine whether the budget was balanced. By the criteria he used on June 21 in withholding pay, the arithmetic is still dicey. But Chiang will now resume legislators’ pay. Why? Maybe the budget is only unbalanced when CTA doesn’t like it. 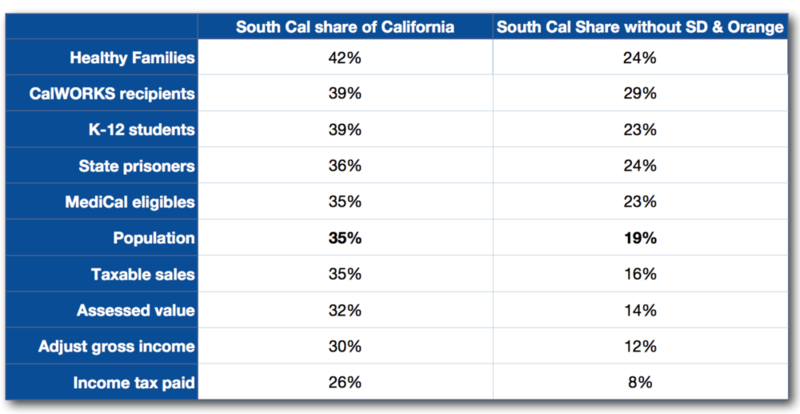 Once again, California has a budget for which no one is clearly accountable. Democrats passed it, but none of the Democratic lawmakers who voted for it, nor the governor who signed it, wanted this budget. It was the best they could do without extending the 2009 temporary taxes, for which there were no Republican votes. But neither did GOP legislators want this budget; they all voted against it. Some of them are already complaining of cuts that harm pet projects in their own districts. So who do we now hold accountable? The people who voted for the budget they didn’t want, or the people who made inevitable the budget they didn’t vote for and claim not to like? And if there is any budget for which we Californians would want to hold accountable, it is this one. It is disastrous for California’s future. It hacks $1.75 billion out of higher education. It will most likely slash the length of the school year, already the shortest in the world. It will take away services from hundreds of thousands of the blind, disabled, elderly, developmentally disabled, and the working poor. If that is what the media now count as California getting “less dysfunctional,” we’re in much deeper doo-doo than I ever imagined. During this time of withdrawal in junior high I had my own private world, and my most prized possession was my library card from the Oakland Public Library. I went there almost every day, and it was not long after my thirteenth birthday when I read two passages that focused the grief I felt over my mother’s death and the forces that I’ve had to contend with ever since. The first passage was in a book on early American history. I was breezing along through a chapter on the American Revolution when I did a double take on one sentence. It was as if somebody had stuck a foot out there on the page and tripped my mind as it went by. I looked again, and this sentence jumped out at me: Despite the hardships they suffered, most slaves enjoyed a higher standard of living and a better life in America than they had in their primitive African homeland. I had to get up and walk out of the library. For weeks afterward I went around in a fog. The sentence stunned me. There it was, written plainly, that people were better off here as slaves than they had been as free people at home. I couldn’t believe anyone had the nerve to say something like that, especially in a history book. My brother and I had always had a special reverence for history books; if something was written down in one, we believed it meant you could rely on it without question. History was the final referee of what was true. We had one in the house, and we used to settle arguments by saying, “Let’s look it up in the book.” And now, here in a history book was an attack on my very essence as a person. That day in the library is still vivid to me. I remember that I was sitting at a long table, with my right forearm across the top of the open book and my left forefinger running down the page, the way I used to read. I remember being so taken aback by the sentence that I couldn’t swallow. I thought of “darkest Africa” pretty much the way young white boys must’ve thought of it, as a place where Tarzan ran around among animals and witch doctors. I didn’t know or care what slavery or Africa was really like, but I was repulsed by the idea that life could be better without freedom. To me, being a slave meant you had to buckle under. As far as I can remember, this was the first time I was ever enraged. I’ve been scared before, like once when a white man chased me across the field in Louisiana threatening to “hang” me for throwing a pebble at his car. I also had been afraid or hurt when my mother died. But I hadn’t been angry, because such occasions were too big and I was too small. They were simply things I discovered as the world revealed itself to me—no different from discovering comic books, schoolrooms or crocodiles, except that they hurt. But there in the library, with another hurt, it was if I could say no. For the first time I felt grounded in anger, and it would last for years to come. But Russell didn’t just discover anger at the library. He also found, in reading about Henri Christophe, one of the leaders of the slave revolt that made Haiti an independent country, a sense of dignity and power that transcended race. As a thirteen-year-old kid in the Oakland Public Library, I never dreamed, of course, that I would ever see the Citadel [the fortress Christophe built]. But at a time in my life when I was meek and shy, I would thrill every time I read about how Christophe outfoxed another general, or how he drove people to accomplish the impossible. Part of me identified with him even after I grew old enough to be revolted by his cruelty and tyranny over his own people. I know better than to admire him, but part of me still does so. Henri Christophe was my first hero after my mother. To me, he was just the opposite of the slave: he would not be one. He was indomitable. I think his life brought home to me for the first time that being black was not just a limiting feeling. Just imagine. After ten years of the Great Depression and four years of total war, with rationing of meat and gasoline and top marginal income tax rates of 90 percent, that California still felt it could afford a place where a skinny black kid just out of Louisiana could read his way into the world and find his way from loss and anger to pride and dignity. Maybe the kids at César Chávez Library can find a time machine to take them back there. It's always nice when someone thinks your work is useful, so Joe Mathews and I were honored on Saturday when Californians for Electoral Reform, at their annual meeting in Oakland, gave us the 2011 Wilma Rule Award for California Crackup. CFER is a model of the kind of reform group California needs: grassroots, composed of people from across the political spectrum, committed to thinking deeply about how we can bring modern electoral and governing ideas into our creaky institutions. You can learn more about CFER at its website.